Economists agree that agriculture has the biggest potential for income generation and job creation in Artsakh. The soil and the climate are ideal. The population has an agricultural tradition dating back thousands of years. However, agriculture has not been developed, and farmers still cannot make a decent living. The reason for that is the Artsakh’s geography: its large rivers and reservoirs are in the northwest of the country, while the agricultural lands are mostly in the southeast – too far away from each other. The investments required to bring the water to the fields is economically irrational. Because of this, 93% of all agricultural lands in Artsakh go dry and unused. 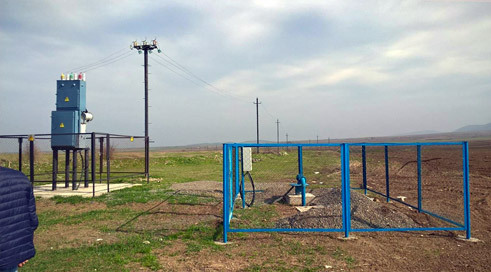 Extensive geological surveys show that the southeastern parts of Artsakh have vast underground water resources located at about 300 feet below ground. Moreover, the agricultural lands sit right above this underground water. Thus, the solution is to bring underground water to the surface for irrigation. Fruitful Artsakh, Armenia Fund USA’s new agricultural development project, will bring irrigation water to the farmers of Artsakh by utilizing groundwater wells, introduce drip irrigation and switch farmers to cultivating high-revenue crops. The diameter of a well is from 200 to 400mm, and the depth is up to 150m. The current capacity is from 10 to 20 l/s. An up to 1000m length and D=110-160mm polyethylene pipeline will be installed with up to 10 water distribution outlets. From 15 to 25ha land will be irrigated with each well. The average cost of one well construction is estimated to be $46,440. The first phase of Fruitful Artsakh will cover 1,600ha and will include 70 pre-selected hard-working farmers who are willing to learn and adopt modern farming technologies. Pilot projects demonstrate that once a farmer begins to irrigate his/her fields with this new technology, his/her annual revenue will increase substantially. 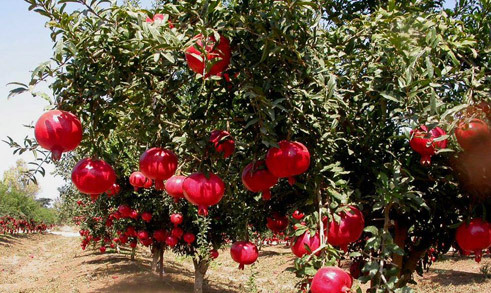 If all available agricultural lands in Artsakh start producing, Artsakh’s economy will add above $300 million annually! Please make an investment in Artsakh’s agriculture through your generous tax-deductible contribution to Armenia Fund USA. Kindly put “Fruitful Artsakh” in comments section of the donation page. You can Donate online now for the Fruitful Artsakh project.